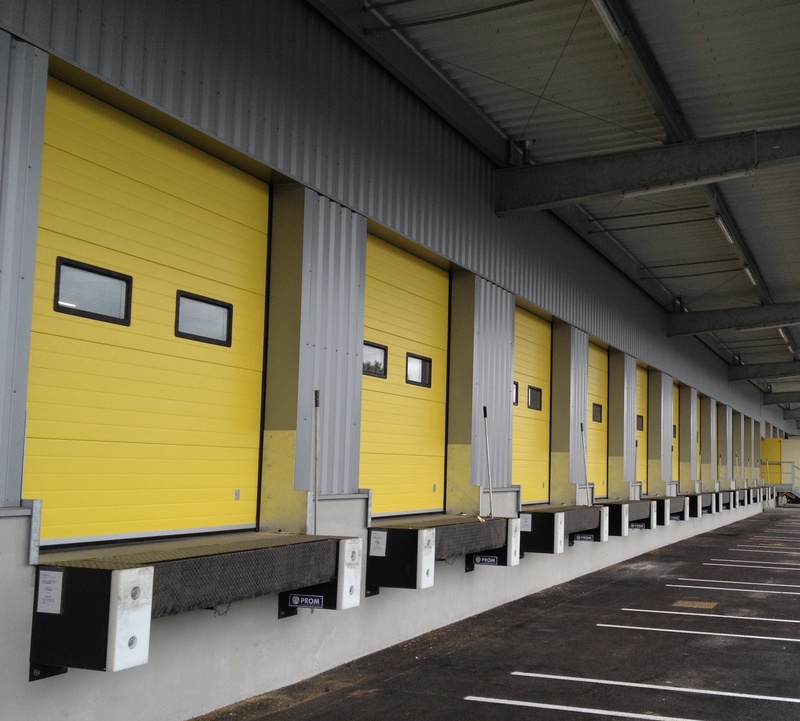 These are the most convenient, reliable and cost-effective type of industrial doors. Numerous insulation packages make sectional doors the ideal product for interior temperature control considerations. These can be motor operated or manually operated. No other type of door can be modified to suit the relevant situations as a sectional door. This is made possible by the wide variety of track systems, mountings, panel options, infill panels, windows, security options, and finishing, operating and power systems. Euro Systems sectional door also boasts durable quality. 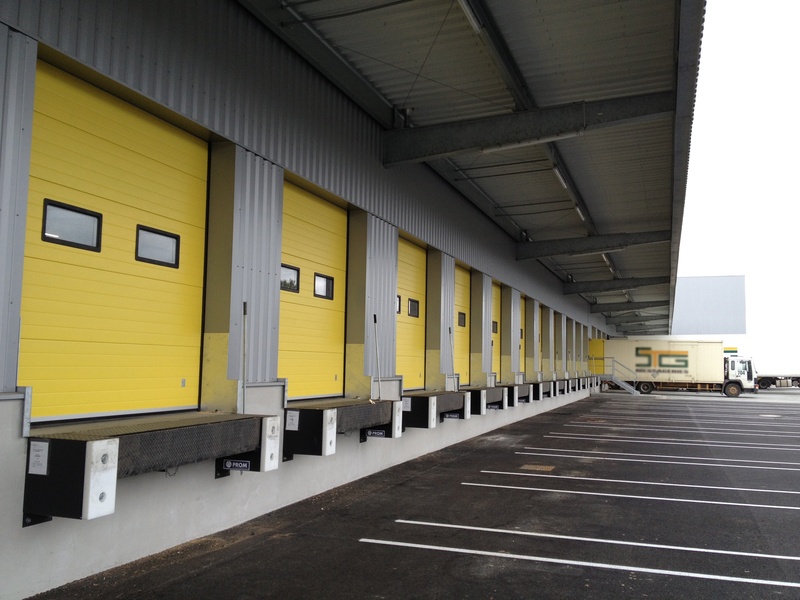 Sectional doors can accommodate a wide range of applications including warehouses, service stations, fire stations, restaurants, and many others. They can be used on any kind of doorway and interior architecture. Sectional doors do not require much space inside a room, and hardly take up any space when installed outside. They offer many glazing options and can be equipped with a pedestrian pass door in many cases. Emergency manual override is provided as standard, to allow operation in case of power failure. In our range, we have manually and motorized solutions. For the motorized solution, we offer 3 or single phase motors with gearbox. All controls are low voltage and besides open/close buttons an emergency stop button is always standard. Euro Systems offers a wide range of typical sizes and a variety of installation options for sectional doors, in order to satisfy the most sophisticated requirements.  We are continuously working on the design to make sure our doors look modern and up-to-date.